Renee came in for low back pain, but found that NUCCA upper cervical chiropractic care helped her with so much more. Decades long Irritable Bowel Syndrome and tremors in her hands began to quickly resolve as stress to her nervous system at the top of the spine was removed. Is there a connection between the digestive system and the spine? 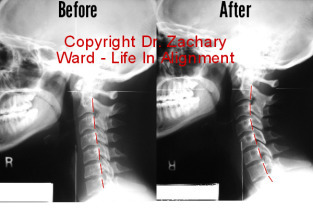 Listen to one woman’s experience with upper cervical chiropractic care in Auburn Hills, Michigan. I decided that since I have lower back pain a little bit, when I walk in a lot (and I love to walk) I would come in for that. I didn’t realize all the other benefits that I would get by coming. I’ve had Irritable Bowel Syndrome for 25 years. Basically I can’t leave my house until one o’clock in the afternoon, because the bathroom needs to be right there seven days a week. Now, I can get up, shower, get dressed, and leave my house, and life is good. I can count the few days that I might have an episode. But for the most part, I’m like healed!